Our Latin American Culture Club is collecting items such as non-perishable food, clothes and toys to provide them to places such as the LAMB Center, NVFS and Food for Others. If you have any items that could be donated for this initiative would be appreciated. 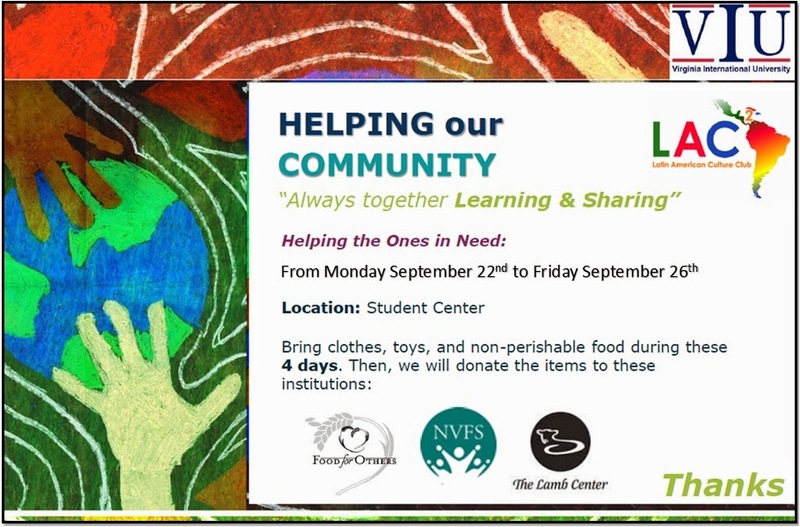 You can bring the items to the Student Center where our Student Affairs staff can indicate where the LACC drop off box is located. We will have the drop off box at the Student Center until 1:00 pm on Friday.